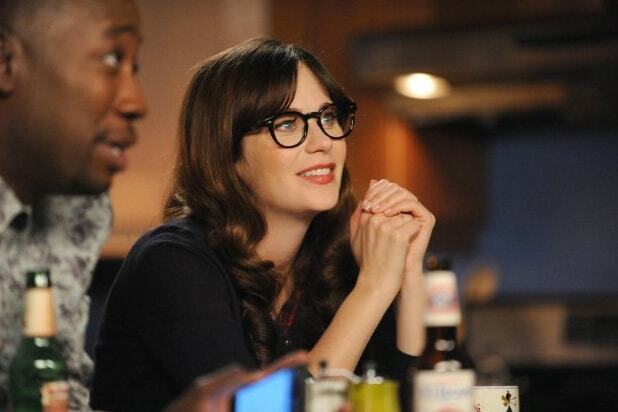 “New Girl” has officially been renewed for a sixth season at Fox, TheWrap has learned. Time to celebrate with a game of True American! In the next all-new episode airing Tuesday night, Jess (Zooey Deschanel) is served a restraining order by her former boyfriend, Sam (guest star David Walton), and sets out to clear her name with the help of Winston (Lamorne Morris). Meanwhile, Nick (Jake Johnson) and Schmidt (Max Greenfield) plot against the owner of a trendy new bar (guest star Busy Phillips) that opened on their street. As the series heads toward its Season 5 finale and the wedding of Schmidt and Cece (Hannah Simone), additional guest stars appearing on “New Girl” include Megan Fox, who returns as Reagan; Damon Wayans Jr., reprising his role as Coach; Sonequa Martin-Green (“The Walking Dead”); Kal Penn (“House”); Rob Riggle (“The Hangover”); Nora Dunn (“Saturday Night Live”); and Peter Gallagher (“Togetherness”). “New Girl” is produced by 20th Century Fox Television in association with Chernin Entertainment. The series was created by Elizabeth Meriwether. Meriwether, Brett Baer, Dave Finkel, Jake Kasdan, Peter Chernin and Katherine Pope are executive producers, with Meriwether, Baer and Finkel serving as co-showrunners and writers.